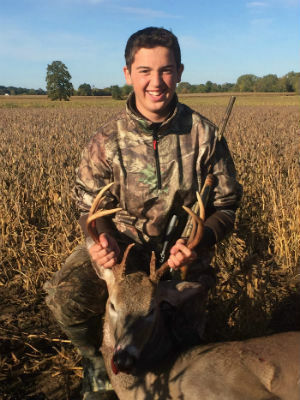 Columbus weekend in New York means the 2015 Youth Hunt and a chance for 14-15 year olds to harvest a deer in New York with the weapon of their choice. 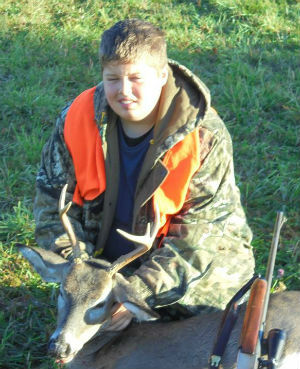 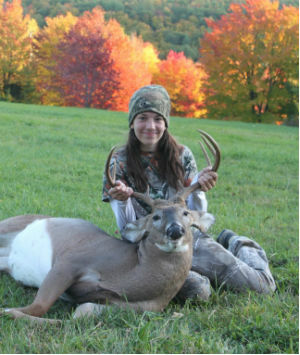 Here are photos of some of this years' successful youth hunters. 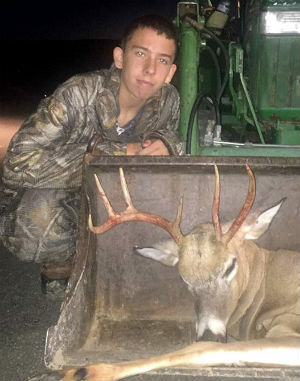 If you know of a successful 2015 youth hunter or are one yourself and would like to have your photo posted here... just drop me an email at nyantler@twcny.rr.com. 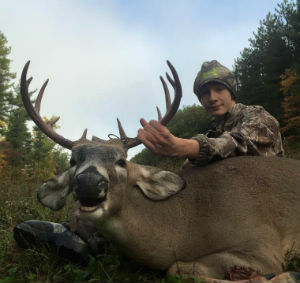 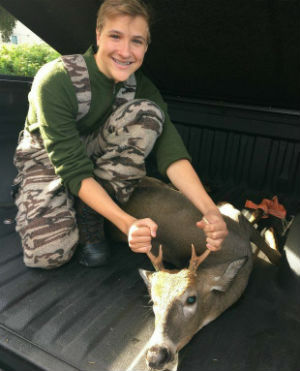 Turner Francis, age 15, shot this 4-point on opening day of the 2015 Youth Hunt weekend... 10/10/15 in Schoharie County. 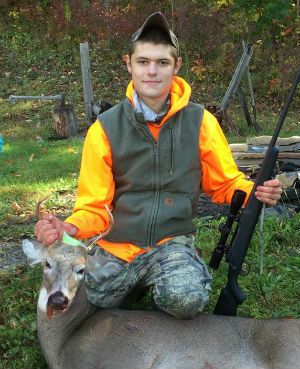 Skyler Travis shot his first deer with his Tikka 7m-08 in Greene County on 10/12/2015. 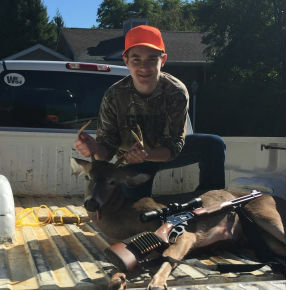 Hunter Stoddard, 14 years old, shot this doe on 10/12/2015 during the 2015 Youth Hunt in Wayne county. 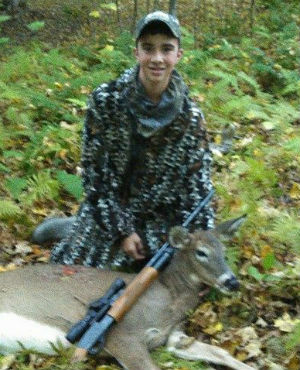 It's his first deer. 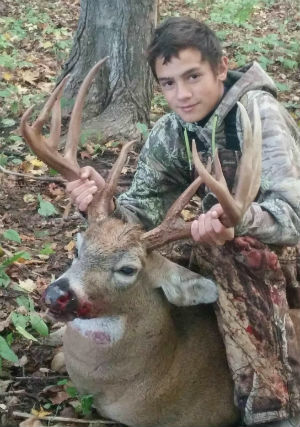 Ian Bator shot this HUGE buck on Saturday 10/10/2015 during the 2015 Youth Hunt weekend in Ontario County. 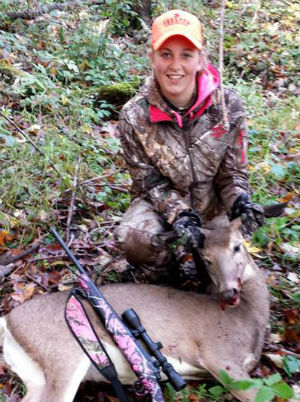 Madison Lawyer, of Middleburgh, N.Y., shot her first deer, an 8-point, on 10/10/2015 during the 2015 Youth Hunt weekend in Schoharie County. 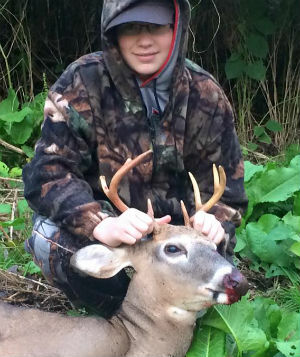 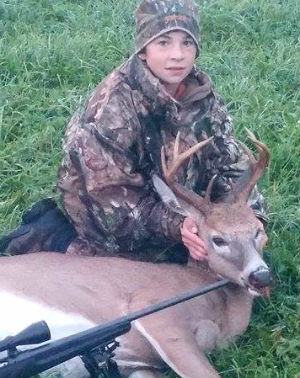 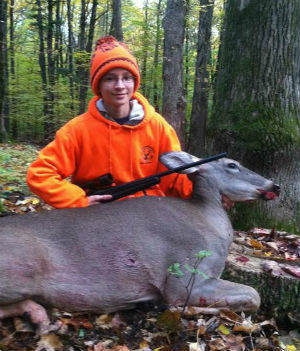 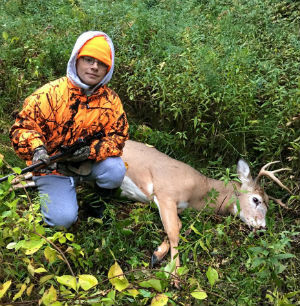 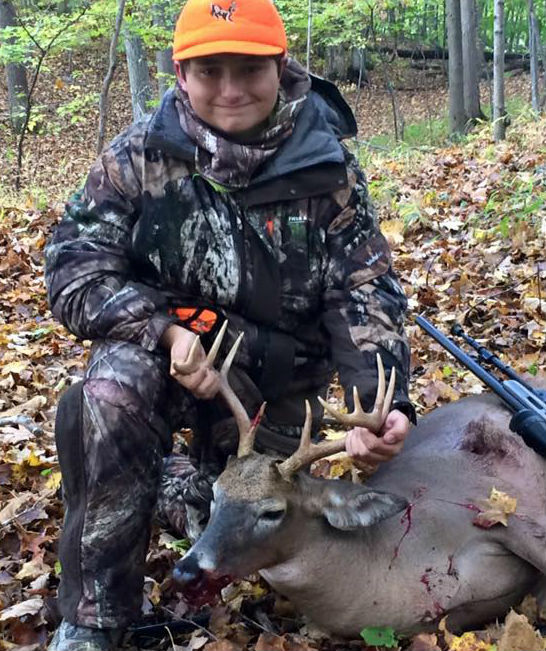 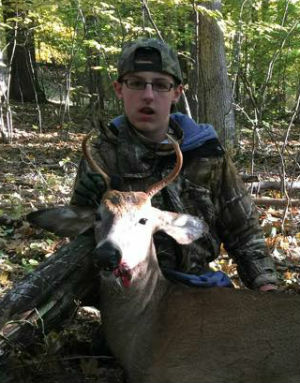 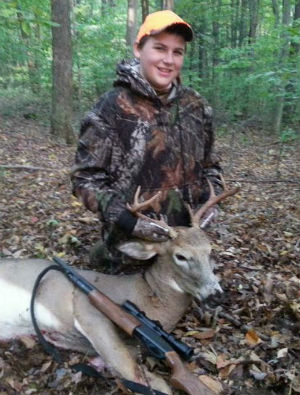 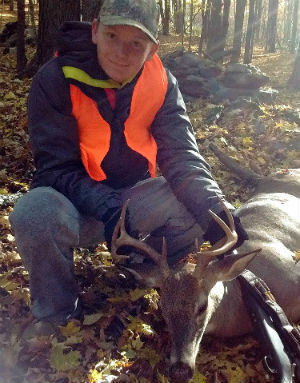 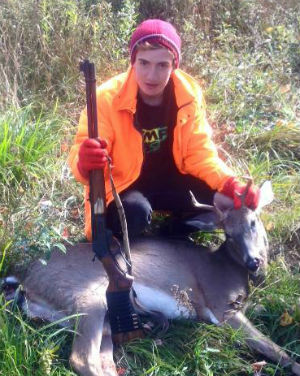 Brandon Drake shot his first deer ever, an 8-point in Tompkins County during the 2015 Youth Hunt weekend. 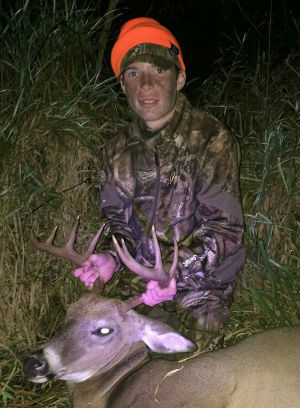 Tyler Choate with his opening evening 10-point taken 10/10/2015 during the 2015 NYS Youth Hunt in Erie County. 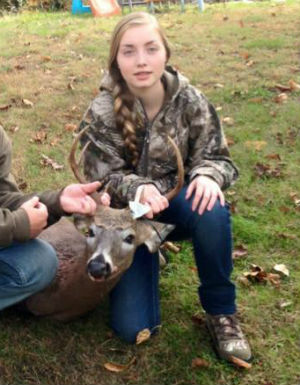 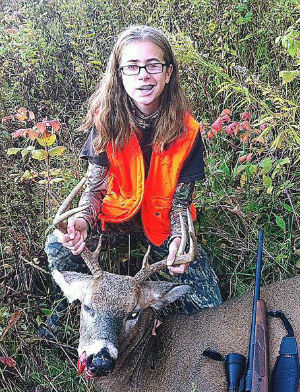 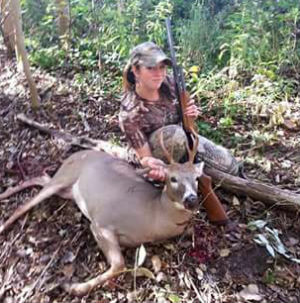 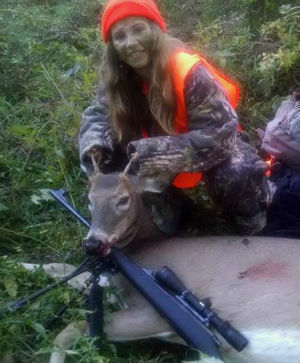 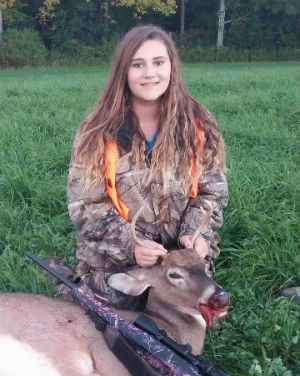 Kaitlyn Lindsay, age 15, with her first buck ever... an 8-point taken during the 2015 NYS Youth Hunt in Essex County. 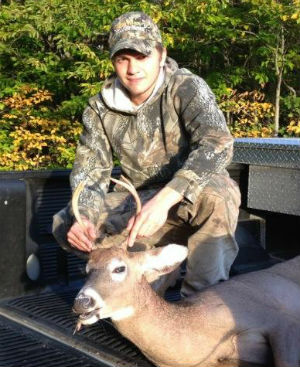 the buck dressed at 132 lbs.